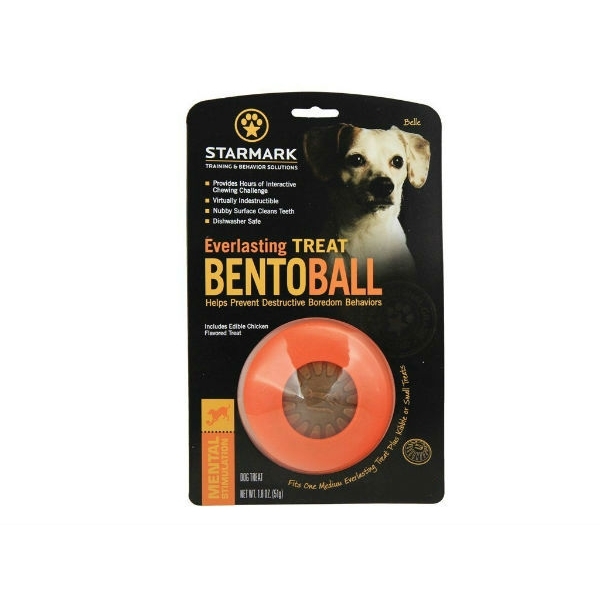 A treat ball containing an edible chicken flavoured dog treat which is designed to reduce anxiety and boredom behaviours. Also has raised dimples to help clean teeth too! Always supervise your dog when playing with any toys.